Opening Night – John Cassavetes’ 1977 masterpiece in a canon already full of them – betrays an understanding that self-destruction does not have the convenience of narrative. It’s a wholesale embracing of chaos that defies reason and stricture; the act of shedding the burden of being. “Love is a stream; it’s continuous; it doesn’t stop”, a character says in the director’s penultimate picture, Love Streams (1984). 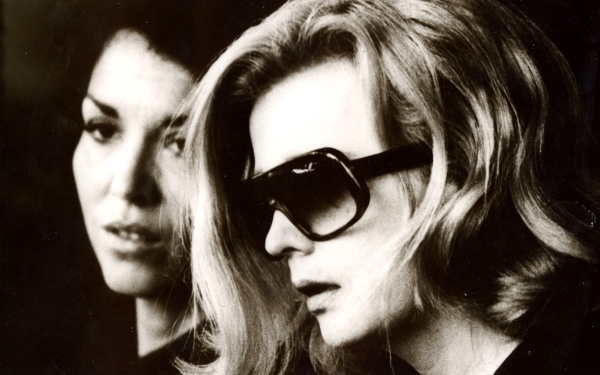 This quote serves as a fitting summation of Cassavetes’ films with his wife Gena Rowlands; they are pictures concerned with directing the stream, channeling it and capturing its dips and swerves. These are films in which the current is so strong, it veers towards psychosis. In finding madness beneath the perpetuating conventions of life – from the domestic in A Woman Under the Influence (1974) to loneliness in Love Streams – the proximity to chaos brings out something palpably human in Cassavetes’ work. Opening Night finds its madness in the shackles of artistry and the anxiety of ageing. Rowlands plays Myrtle, a famous screen and stage actress rehearsing a play in preparation for a forthcoming Broadway run. Leaving the theatre one evening, she witnesses an obsessed young fan being run over mid-serenade. As Myrtle becomes plagued by visions, a simple theatrical revival becomes an existential minefield, with each seemingly minor ask eating Myrtle from within. The image of the fan’s hand on the car window, streaked with rain, recurs throughout. Her serenade was a part of the stream, but Myrtle’s entourage stemmed it; breaking the connection. Everyone around her – directors, agents, actors – are enablers exacting ownership over her. She will not be touched by the love of a female fan; she is prodded and coddled by the men who engulf her. And so the hand on the window precipitates a rebellion. Veering between obstinate and incapacitated, Myrtle will not be contained. In a particularly grueling sequence, she won’t take a slap on stage. Her defiance stands as a powerful line in the sand for actresses crushed by the system. As her director, both in the film and the play within the film, Cassavetes recognises his complicity in these historical Hollywood rituals. Opening Night is his confrontation and apologia. Rowlands is his wife and his actress, but he will not contain her. He is neither husband nor director – she dictates the narrative. It was the greatest director-actor partnership in cinema; naked, formidable and mutually reverential. In their song about the picture, The Hold Steady sang that “some nights, it’s just entertainment / some other nights, it’s work”. But, crucially, it was also life. Life and that unstoppable, unpredictable stream.